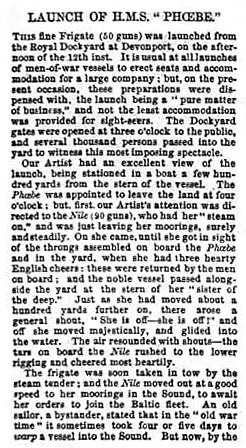 HMS Phoebe was launched in Devonport on 12 April 1854. 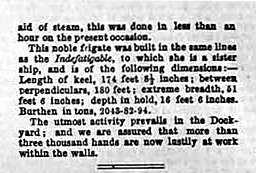 She was a 50-gun sailing frigate from 1854 to 1860 and then converted to an unarmed wooden screw vessel. HMS Phoebe was disposed of in 1875-76. 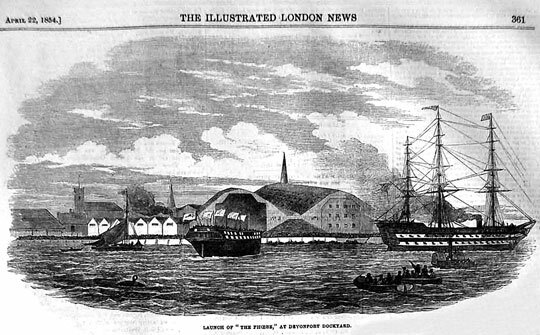 The following image and associated text describing the launch was published in The Illustrated London News, 22nd April 1854.